Hong Kong was a place that always interested me. 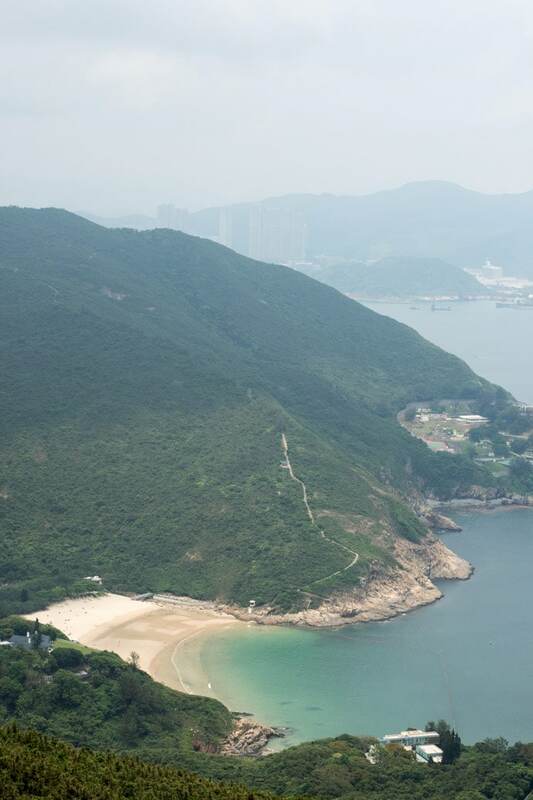 The food, the buzz, the culture… But I never associated Hong Kong with nature and beaches and beautiful natural scenery. 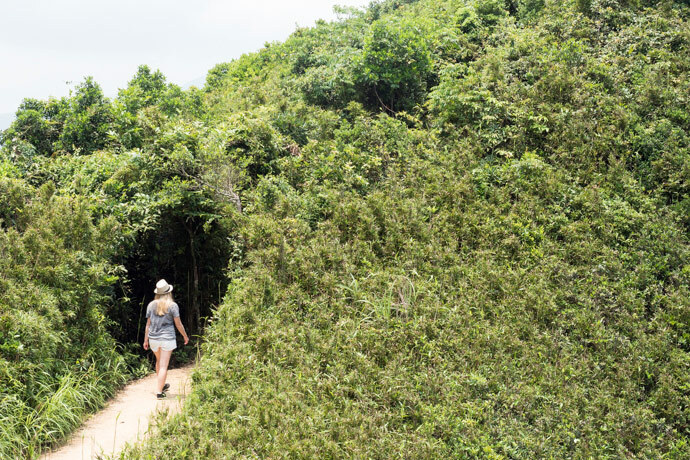 When I realised it was all this too, Hong Kong became a destination I couldn’t wait to visit. 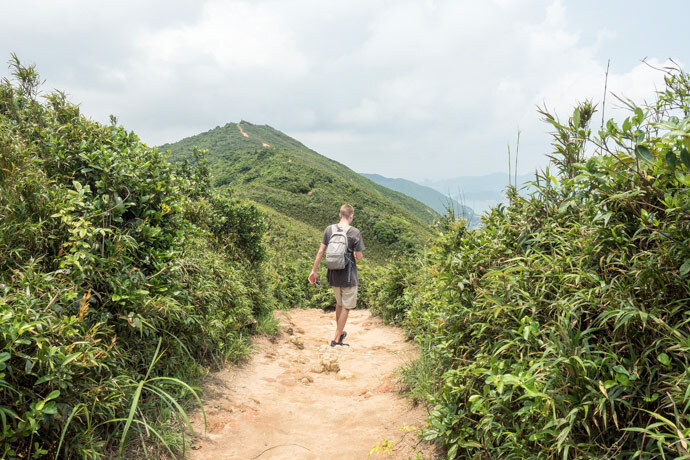 In our 2 weeks in Hong Kong, we really wanted to do some walks and hikes, make the most of nature and as an added bonus I’m sure it had to work off at least one of the million meals I had in Hong Kong (I miss you baked BBQ buns). 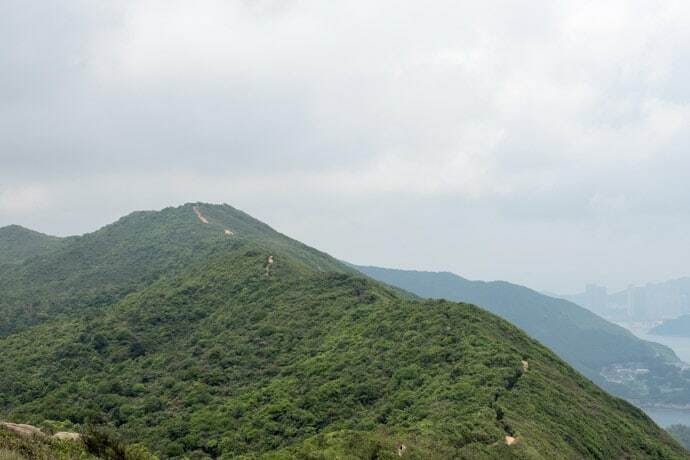 Two walks that looked amazing were the walks around The Peak and Dragons Back Hong Kong walk. 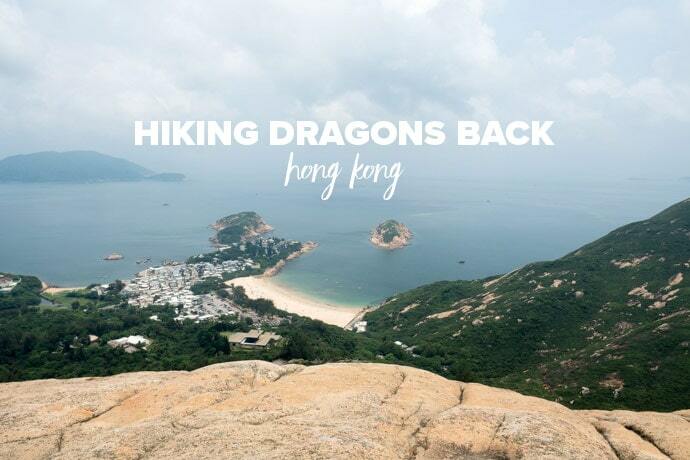 Dragons Back is a popular hike in Hong Kong, on Hong Kong Island. It takes you essentially across the ridge of a mountain, hence the dragons back, with stunning scenery overlooking beaches along the way. It took us about 3 hours and is approximately 8.5 km long. 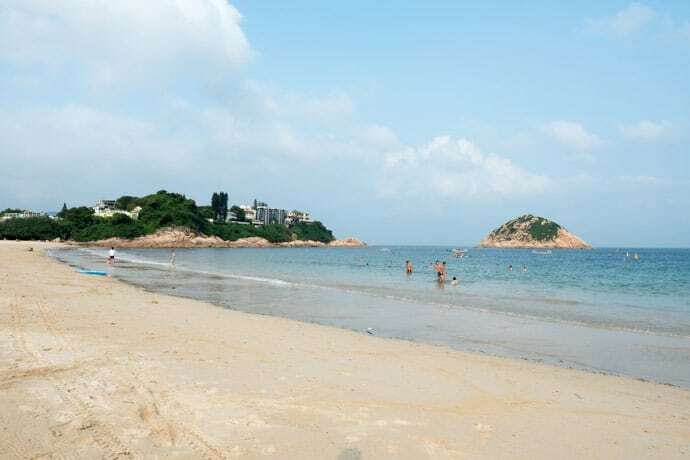 It was a very hot day in Hong Kong, so it involved a lot of sweating and dreaming about the beach. The hike itself was absolutely beautiful. The views of the beach were as refreshing as having a huge drink of icy cold water… almost. 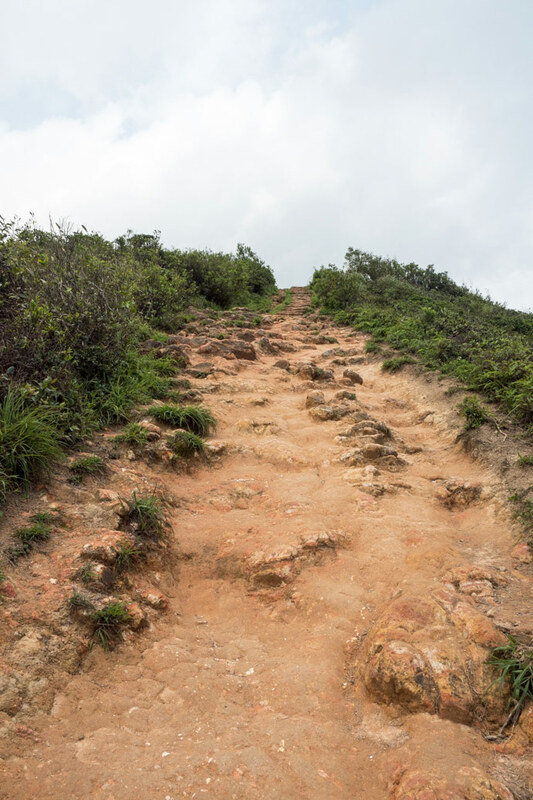 The hike was strenuous but wasn’t very difficult in terms of it would be possible for most people with a normal fitness level. I definitely felt it, especially in combination with the heat, but it was so worth it. 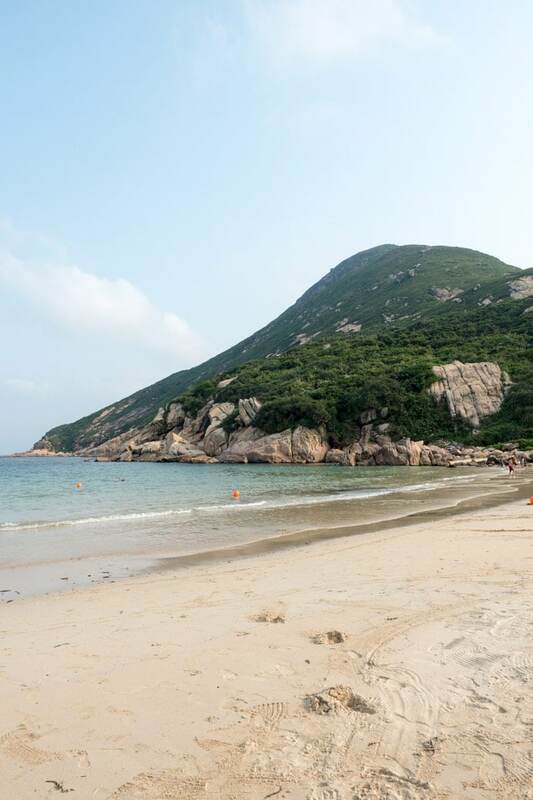 At the end of the hike we arrived at Shek O beach. 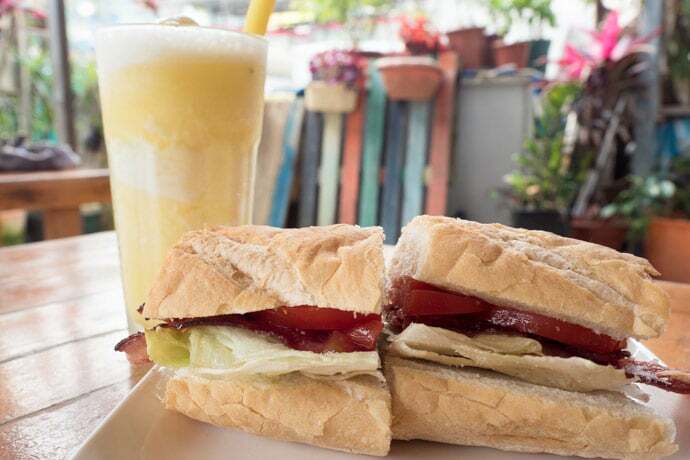 Having a swim in the clear blue water and having a fresh juice and some tasty food at Mings Cafe was the perfect way to finish the walk. 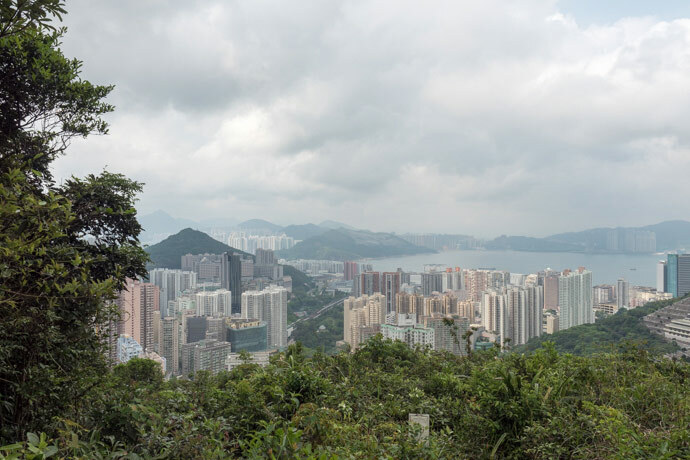 It tops off the whole experience and you forget you’re in Hong Kong, until you realise, this is Hong Kong, and you appreciate the sheer diversity and beauty this city has. We took the MTR to Shau Kei Wan then got bus number 9 which drops you right at the start of the trail. 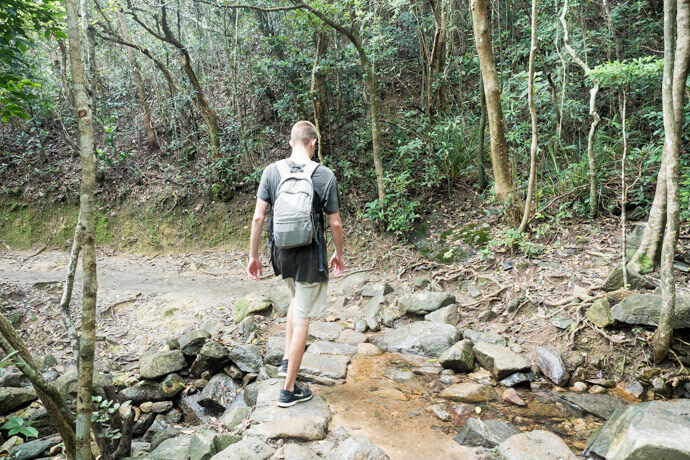 You will probably know the stop as chances are there are other hikers getting off there too. At the end of the trek you arrive at Big Wave Bay. 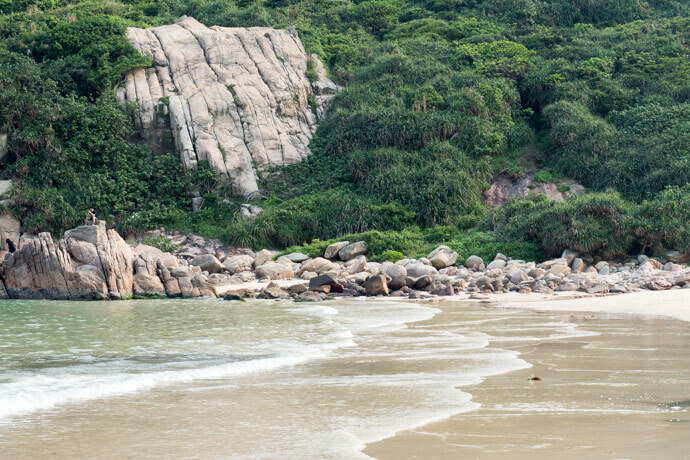 This beach looked beautiful, but we also wanted to have a look at Shek O beach a little further on. 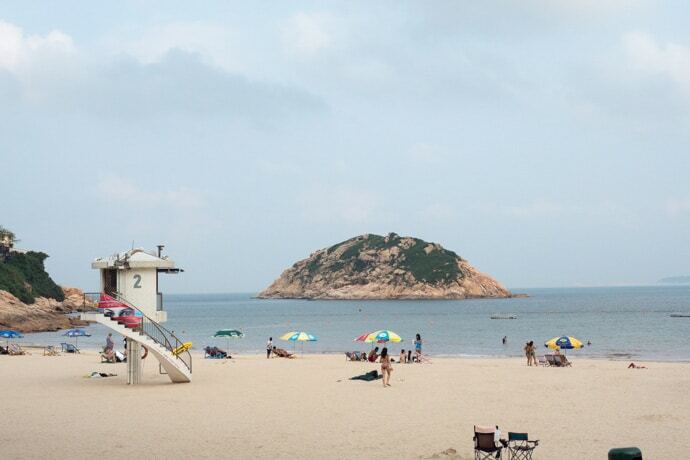 Don’t judge us, but we hopped in a taxi from here and got dropped off a Shek O beach a mere 2km down the road. From Shek O there is the same bus that will take you back to the MTR, and there is also a small mini bus that takes you directly to the MTR. We took the small mini bus back as it was there first. It was actually probably easier then the normal bus as it didn’t stop along the way, but either would be fine. 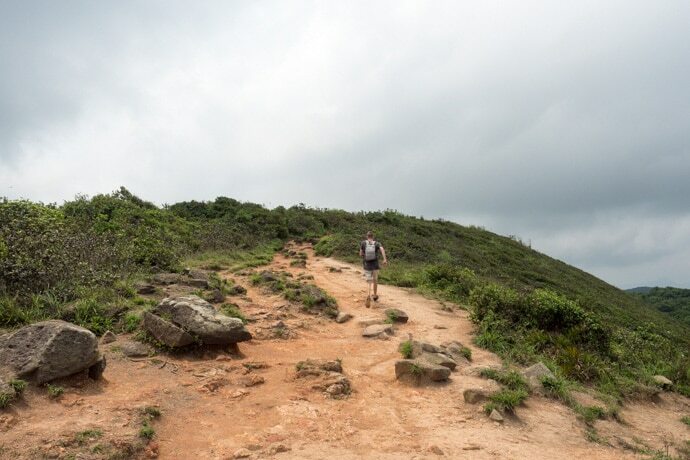 Hiking the Dragons Back was one of my most memorable experiences in Hong Kong. 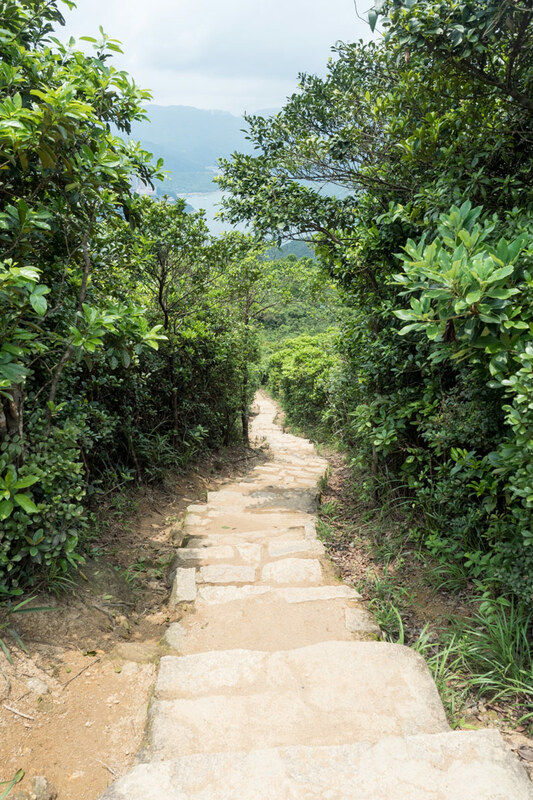 The walk itself gives you a great work out, the views are some of the best in Hong Kong and the beach at the end is not only the perfect end to the day but a beautiful beach in its own right. 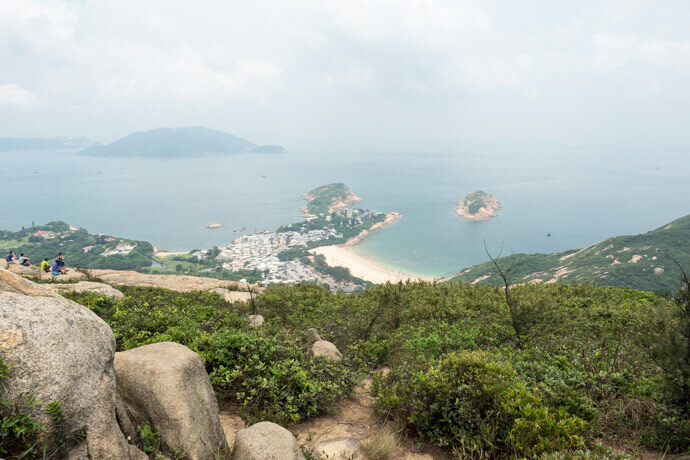 If you’re spending a few days or more in Hong Kong, I’d definitely recommend making the Dragons Back hike one of your things to do in Hong Kong.